Last week I was on of the fortunate ones who was invited to the GO presentation held by Heinz Pfeiffer and Frank Muller in Basel. Apart from seeing the new models presented at the fair – PanoMaticDate, PanoMaticLunar and the PanoMaticTourbillon – we also got to see and hear about some of the things planned for the coming years. I’m afraid I can’t publicize all we were told but I can guarantee you that especially one novelty of the future will be VERY VERY exciting! 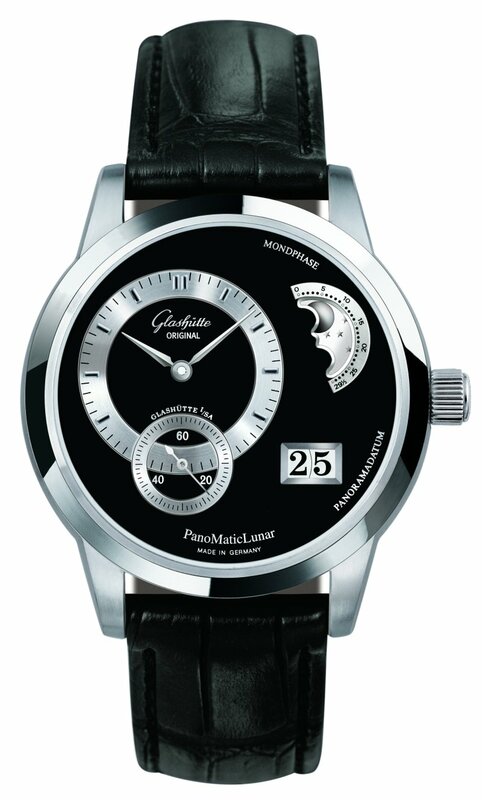 I can divulge one thing that will probably be introduced next year and has already been mentioned in the latest edition of the company’s own magazine “Chronograph”: A completely new automatic “Caliber 100″ with central rotor is in the works and will eventually replace Caliber 39. 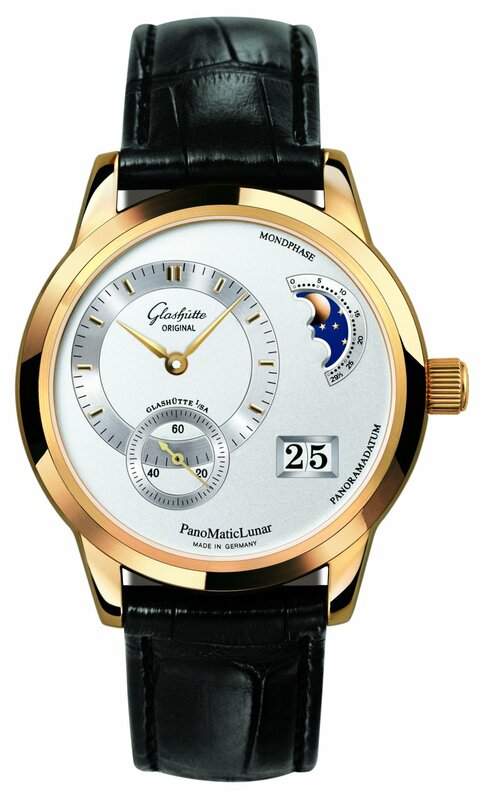 I’ll start with the first of the novelties, the PanoMaticLunar available in steel, yellow gold and platinum. See images of the new Caliber 90 it’s fit with in a seperate posting.